This is a big year for new music. As a kid who grew up here in the Treasure Valley, I spent most of my summers mowing lawns and saving up money for the newest albums from my favorite artists. I’d then ride my back to the West Record Exchange (used to be over on Cole & Ustick) where I spent hours looking through music. That excitement of ripping through the wrapping (fumbling with the sticker), placing the CD into your stereo and flipping through the booklet is something that can never be matched or replaced (I still do it to this very day). I remember picking up Korn’s self-titled album along with Life is Peachy back in middle school. By the time August of 1998 rolled around, I was the first one in the store to purchase a fresh copy of Follow the Leader on the day it was released. 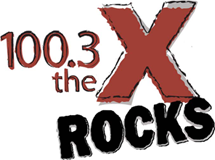 I became a huge Korn fan with the shirts, posters, albums, followed them on MTV (when ‘M” stood for “music”) and even called in requests on 100.3 the X before Korn was really ever played on the radio. Family trips to visit my Grandparents in Twin Falls was where I found this really great record store on Blue Lakes Boulevard. The guy who ran the shop always reminded me of Marilyn Manson (so why not buy your first Manson record there?) This is also where I discovered the first two albums from Deftones (Adrenaline and Around the Fur). Papa Roach’s first album, Infest, was one I grabbed for $6.99 from Circuit City over on Milwaukee (now Dave & Buster’s). The band was still up-and-coming back in 2000, but played that disc on repeat and guessed which songs would be future radio singles (all that practice comes in handy now when I put together the music for X-Clusive). Undertow by Tool and Pantera’s Vulgar Display of Power were two albums I borrowed from a friend back in middle school (pretty sure we exchanged albums in the locker room after P.E. class). Those were also both game-changers for me. Social Distortion was a band I was introduced to by my former brother-in-law who played their live album for me in his car. There will always be something unique and great about Mike Ness and that band. I was in high school and instantly blown away when I discovered nine masked guys from Iowa in a band called Slipknot. They were actually the first band I ever met nearly 20 years ago (full story here). Within the more recent years I came across bands like Badflower and I Prevail and instantly fell in love with their musical styles and deep messages, but still always hold a special for those bands and albums I grew up with. Disclaimer: This is not the full list of albums being released in 2019, just the most notable ones to me. 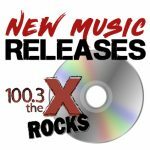 If there’s something you’d like me to add or an artist/album I should check out, e-mail randy@xrock.com.